Penguins On My Shirt: Precious Moments, Special People, Happy Faces, I Can See. Precious Moments, Special People, Happy Faces, I Can See. Sebastian looked so handsome in his dress clothes as he sang. 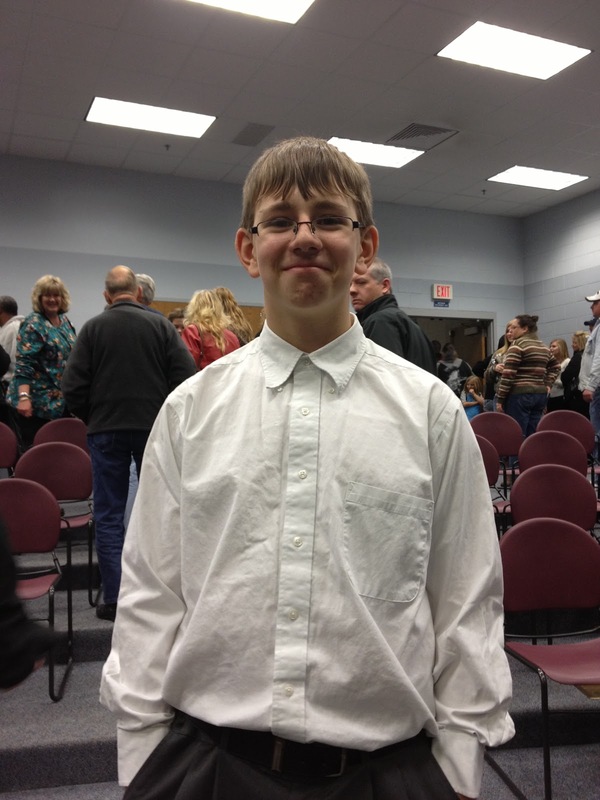 Last night was his chorus concert for school. I have to admit that I got a bit teary eyed as I watched them sing. Not only did they do an amazing job, but I couldn't have been more proud of the young man he is turning into. Tyler had a chorus concert last night as well. John went to hers, thank you John for loving them, and I went to Sebastian's. We both videoed them so that we can sit down as a family and watch. I can't wait to see hers. I am so grateful for the many talents my kiddos have, and for their dedication in growing those talents. I was so shy growing up. 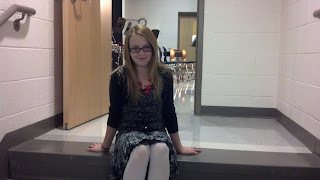 I remember wanting to try out for the school chorus in the fifth grade, but I was just to shy to do it. Sebastian tried out for District Choir about a month ago and he was picked as an alternate. I never would have had the courage to sing in front of a panel of judges like that. I am so proud of who they are, and while it's hard not having their dad here with them I know he would be proud of them. It hasn't really felt like Christmas this year, but maybe I've been focusing on the wrong things. Maybe now I'll choose to focus on what really matters during the Holiday Season.